Uganda have been disqualified from qualifying for the 2017 Under-20 Africa Cup of Nations for fielding an ineligible player. The offence occurred in the first-round, second-leg match against Rwanda, which Uganda won 2-1 to secure a 3-2 aggregate victory. 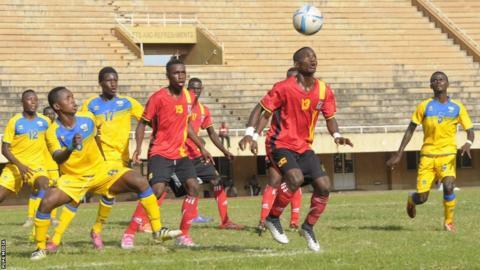 However, Uganda's Aheebwa James had different dates of birth on his passport and his inter-clubs licence. Rwanda have been reinstated and will take on Egypt in the second round. The Rwandan Football Federation had challenged the eligibility of Tumwesigye Frank, Aheebwa James, Lwalirwa Halid and Kizza Martin. Only James was found to have different birth dates: 19/5/1998 on the passport, and 27/3/1997 on his Confederation of African Football Inter-clubs licence. Although both dates place James within the age limit for the competition, the rules state that both dates must match.